Everyone's opened their holiday presents, the wrapping paper's been thrown away and you start looking forward to a new year. It always seems that the mail, which was recently full of holiday wishes and good cheer, is now full of holiday bills. If you didn't pay cash for everything or put your holiday purchases on credit cards to maximize the rewards you earn, it's now time to pay them off. For those who have budgeted properly, this is not a big deal. You open up the bills, write checks or make online payments for the full amount and you're done. Many others don't do that. If you're carrying a balance, it will take longer and cost more money in interest fees to pay for the holidays. If you've prided yourself on finding great deals during your holiday shopping, carrying a balance means that you're just spending everything you've saved--and maybe then some. The Federal Trade Commission (FTC) cautions consumers about paying off the holidays, advising that you should pay more than just the minimum amount required by your credit card company. Depending on your outstanding balance and what percentage your credit card company decides to use to calculate the minimum payments, you could look at your statement and think that your monthly payment is pretty small. However, the payments can be small to encourage you to pay just a small portion of your debt and more money in interest. The FTC notes that some credit card issuers' minimum payments could be as low as 2.5 to 4 percent of the outstanding balance. If you charge $1,500 on a card with a 19% APR, your first bill's minimum payment will range from $37.50 to $60. If you decide to just pay the minimum and don't put any other charges on that card, you'll be making anywhere from 106 to 208 payments. When you're making those payments once a month, you're looking at it taking 8 to 17 years. And that will cost you. Depending on your APR, you could be paying anywhere from about $900 to $2,100 in interest fees. When you think of it taking potentially a decade or more to pay off your credit cards, you may want to think twice about buying just one more gift for your family members. But hindsight is 20/20, and now the credit card statements are giving you a cold dash of reality. You can use the Federal Reserve's Credit Card Repayment Calculator [http://www.federalreserve.gov/creditcardcalculator/] to get an estimate of how long it will take to pay off your bills. 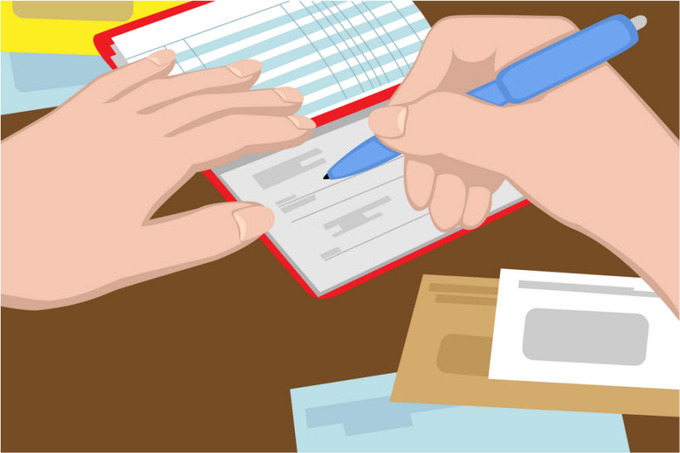 You might be in a little shock when you see how long it could take to pay off your bills just by making the minimums, so aim to pay off your credit cards as quickly as possible to save on interest. Pennsylvania's Office of the Attorney General recommends creating a budget and system to help you pay off your cards. Sometimes promotional offers, such us zero interest for several months--up to a couple of years--can be an incentive to use your cards for holiday shopping. Pennsylvania's Attorney General reminds us that if you don't pay off the full balance before the end of the promotional period, you'll be paying interest on the full amount of the purchase, not just the outstanding balance. You'll want to pay off outstanding credit card balances as soon as possible because that's considered "bad debt" and could affect your ability to get good interest rates on loans, or even be able to borrow money at all. When you consider that, perhaps remembering to budget for next year's presents will help avoid this problem again, making holiday bills not such a headache.